Boğaziçi University Kandilli Campus is witnessing infrastructure investments in order to turn it into a new research campus. Telecommunications and Informatics Technologies Research Center (TETAM), founded in the Kandilli Campus in 2013, is one of the main examples to this end. Built with the fund granted by the Ministry of Development, TETAM aims to provide the researchers working in the telecommunications and informatics fields with ample means and to transform the Kandilli Campus into an interdisciplinary research campus. 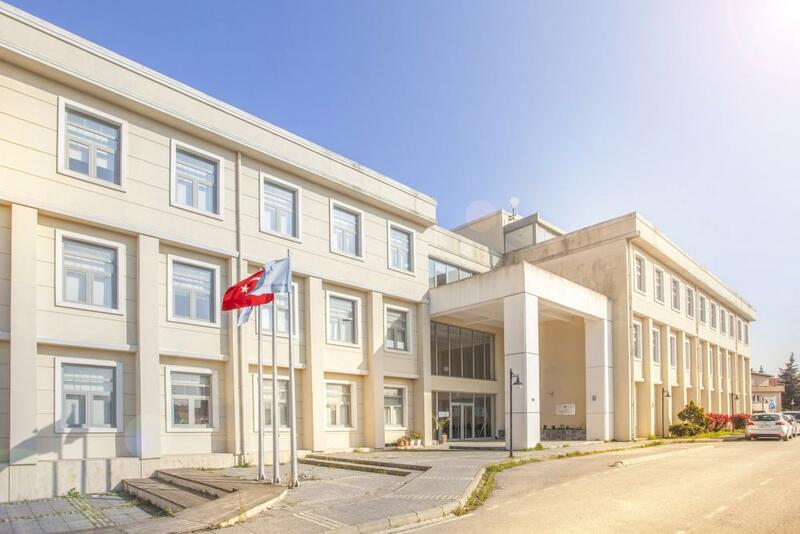 Upon the completion of the construction of both the dorm for graduate students and the new research center later this year, Boğaziçi University Kandilli Campus will become one of the leading research campuses in Turkey. We met with the director of TETAM, Prof. Dr. Lale Akarun, the successor of Prof. Dr. M. Ufuk Çağlayan, and with the teams of the projects being conducted at the center to talk about the provided means to the researchers and their projects. TETAM embraces such new technologies as the Internet of Things, Cloud/Fog Computing, and new notions such as “Maker Movement”. TETAM’s history dates back to 2007. TETAM started functioning with the name of Center for Researcher and Academician Development in Information and Telecommunications Technologies Project (TAM Project) within Boğaziçi University in 2007 and received financial support from State Planning Organization/Ministry of Development. TAM Project has been proposed by 26 faculty members from Boğaziçi University, under the leadership of Prof. Dr. Mehmet Ufuk Çağlayan, a professor of Computer Engineering, where 11 faculty members are from the Department of Computer Engineering, 11 from the Department of Electrical-Electronics Engineering, two from the Biomedical Engineering Institute and two from the Department of Molecular Biology and Genetics. Organized under the framework of eight different interdisciplinary research fields, the project has expanded with the addition of 11 new faculty members. In the meantime, thanks to the support of State Planning Organization and the fund of Ministry of Development, TETAM building construction was finalized and the doctorate and post-doctorate researchers conducting their studies in the center were awarded a scholarship. TETAM accommodates many scholars from different units in various departments, such as Computer Engineering, Electrical and Electronics Engineering, Biomedical Engineering, Earthquake Research Institute, and Biology departments. As the research center pay a salary to the full-time researchers, the number of doctorate graduates from these departments have increased. TETAM, now working as a research center within Boğaziçi University, covers an area of approximately 3000 square meters of usable area and houses workspace for 88 doctorate students, 30 offices for faculty members and post-doctorate scholars, 8 interdisciplinary research laboratories, 2 workshops, 2 conference halls, a seminar room, a meeting room, a system room, a technical office and a number of social areas. Along with the social spaces in the center, there is also a meeting room that can hold approximately 100 people designed to cater to seminars or symposiums. We talked to the project managers of different projects, especially “Smart Home”, being conducted in Boğaziçi University Telecommunications and Informatics Technologies Research Center. One of the eight laboratories located on-site is designed for the Smart Home Control System Project. Required scenarios are acted out in the laboratory, which is sectioned and furnished as a house with a living room, kitchen, and bedroom. Coordinators of the project, Sinan Işık, a faculty member of the Department of Mathematics from Boğaziçi University, and Hüseyin Anıl Özmen, a master’s student of the Department of Computer Engineering, informed us about their project, smart home control system. Özmen suggested that Smart Home Control System makes it possible to connect several devices together and turn different scenarios into reality and that this is done by making sure the electronic devices at home communicate with the modem. This allows people do vastly different things from seeing if there’s anyone home to controlling the room temperature and humidity as well as turning the air conditioner or the fridge on or off using a computer in light of the information they receive. Hüseyin Anıl Özmen elaborated the project: “We have wireless sensors in the smart house in our lab. These sensors can measure humidity, temperature, and light level. We then gather the data from the sensors using minicomputers (Raspberry Pi), process it, and then turn on or off some of the devices in compliance with some rules. Sensors are passive devices, working only to transfer data. However, there are active things in the Internet of Things as well. We can control some of the on/off operations using micro-controllers over Wi-Fi. Another laboratory in TETAM is “Maker Movement”. This lab is designed to create projects that can pave the way for important technological advancement. Suzan Üsküdarlı, a faculty member of the Department of Computer Engineering, explained the work conducted in the lab: “Maker movement is a space that is shared by tech-savvy people with a high sense of sharing culture to create playgrounds where they can learn so much while playing games and where people teach each other countless things about their interests. This term was coined recently by the new generation living with the technology. The research lab in TETAM is not only available to graduate students but also to the undergrads. Undergrad students can also work on their projects there. Two of the projects being conducted at the Maker Lab are gloves that can control computers and a computer software that can perform a smart search on a scientific article database. Yet another project being developed at the Maker Lab is aiming to scan the scientific article database to search for published Neuroscience articles in order to compare different papers and measure the true contribution of such papers to the literature. One of the contributors to the project, a student from the Department of Computer Engineering at Boğaziçi University, Şahin Batmaz, stated that conducting such a research would normally take about six weeks whereas it takes a few seconds thanks to the project they’re working on. The project, already making use of the databases of Scientific American Library and PubMed on the fields of medicine and psychology, can be adapted to search articles from other disciplines as well.